Never has the saying, “A picture is worth a thousand words,” been more valuable than when it comes to your hair. Whatever the price tag, if you are one of the 80 million men and women struggling with hair loss or thinning hair, you want answers. 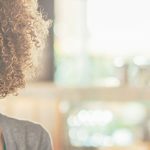 These days, when it comes to shopping – especially shopping for something that will directly impact your appearance, and ultimately your confidence – you want to know that it works before you spend your money. So where do you go for credible, reliable answers? For many, they talk to friends and family first to get their recommendations. Often, in the digital age, this means going on Facebook or your favorite social network, and looking at what others have to say. You might also be interested in getting expert opinions, and therefore look to top editors and media for their reviews of a product you’re considering. Ultimately, you will likely wind up reading online reviews from others who have tried the same product. Unbiased, unsolicited feedback of real customers often becomes the most valuable insight when considering a purchase. 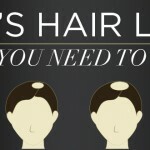 So, when faced with a problem like thinning hair, you have probably, like most, started with a search on Google. 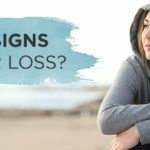 You likely stumbled upon something called Hair Building Fibers and thought “it probably doesn’t look natural” or “there’s no way those hair fibers can cover my hair loss,” but you might be surprised by what you see next! If you’re looking to learn more about Hair Building Fibers and how they work, jump over to our blog post titled: Toppik Hair Building Fibers: The Secret to Natural-Looking, Thicker Hair. If you’re looking for proof and real customer reviews establishing that Hair Building Fibers work – look no further! We’ve rounded up credible feedback from our customers and have the visual proof to show that the #1 cosmetic solution for thinning hair and hair loss is Toppik Hair Building Fibers. 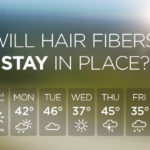 You’ve Heard Of Hair Fibers – But Do They Really Work? Take Melina for instance. Her hair is thinning around the part and front hairline area. Since her hair color is Black, she matches perfectly with the Hair Building Fibers in Black. To help cover up her exposed part, she uses the Toppik Spray Applicator, which allows her to more precisely fill in thinning areas with Hair Building Fibers. Once she has covered this area, she uses the Toppik Hairline Optimizer to create a natural-looking front hairline. Click this link to watch a video testimonial of Melina talking about how she covers her thinning areas, and hear her personal review of Toppik Hair Building Fibers. Ahmed has a receding hairline and a growing bald spot, which can easily be covered with Toppik Hair Building Fibers. Since his bald spot is larger, it is easier for him to use the built-in sifter that comes in the Hair Fibers bottle, rather than the Spray Applicator. All he needs to do is apply the Hair Fibers to his dry hair and pat down after application to ensure they blend seamlessly with existing hair. For lasting results, Ahmed uses Toppik FiberHold Spray, which strengthens the bond between hair and Hair Fibers and provides shine. Click this link to watch a video testimonial of Ahmed talking about how he covers his receding hairline and balding areas, and hear his personal review of Toppik Hair Building Fibers. View more successful before/after images of men and women who have tried using Toppik Hair Building Fibers! Toppik Hair Building Fibers can be used by anyone who wants the confidence of having a full head of hair. Whether you have thin or thinning hair, an uneven hairline, or just want to hide or cover certain areas, Toppik Hair Building Fibers is the perfect hair loss solution. Toppik Hair Building Fibers also work with non-traditional types of hair loss, such as hair loss caused by certain diseases, like Alopecia Areata or Trichotillomania. 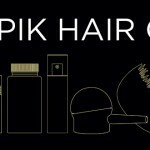 We’ve collected some of the most powerful and heartfelt Hair Building Fibers reviews from those who have used Toppik Hair Building Fibers and returned to Toppik.com to share their experience. “I have very thin hair and over the years, it’s become so bad that you could see my scalp. I was very self-conscious and tried to cover the bald spots as best I could but nothing worked. My hairdresser told me about one of her clients that used Toppik and how well it blended with her own hair. I ordered the product online the next day and 2 days later it arrived. I used it immediately and couldn’t believe the transformation! It now looks like I have a full head of beautiful silvery gray hair and it’s so easy to use. It is now a part of my daily morning routine and I even carry one in my car in case I need a touch-up! I love Toppik! Our greatest satisfaction comes from customers who go out of their way to tell us about their experience with our products. We receive hundreds of personal letters, phone calls and emails every year from people who have been transformed by Toppik Hair Building Fibers. If you would like to read more Toppik Hair Building Fibers reviews, visit Toppik.com and click on any of our Hair Building Fibers to see what customers are saying! Are you ready to try Toppik Hair Building Fibers? Tell us in the comments section below why you can’t wait to try this product! 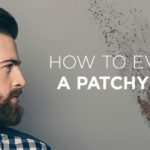 Now that you’ve seen the proof behind the Hair Building Fibers, next week we’re discussing the right hair care and maintenance for thinning hair. how long does each application stay or last . is it same like if dust stick to my hair it damages when you wash your hair is is same as dust. MAy i know from where can i get this what the price. Hi Anjum – Toppik Hair Fibers are a cosmetic solution to thinning hair or hair loss, they will stay in your hair until you wash your hair with shampoo. They do not damage hair in any way. After you shampoo your hair, you will need to reapply the Hair Fibers. You can purchase on wwww.toppik.com, or if you are international, we ship worldwide through our international website: http://shopglobal.toppik.com/. You can choose your currency in the drop down on the website. 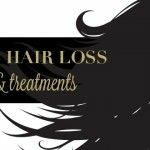 My hair loss started after menopause. Thinning hair and a balding scalp made me look older than my age..I began wearing wigs, as I was in a business where appearances did matter. I have worn wigs for over 10 years, and was getting pretty tired of wearing them..especially in the hot summer days. One day , while browsing on the internet I came across an ad for Toppik, along with some user comments. I was interested in what I saw and read, and ordered a trial supply. I am now on my 2nd bottle, and have fallen in love with this product. My hair looks fuller, no bald spots show, and my hair-do usually lasts for a week. I am a happy camper…especially relieved that I dont need a wig any more. Hi Javed – Toppik Hair Building Fibers do not regrow hair, they should only be used to help hide or cover thinning hair or hair loss areas. You can read more about Toppik Hair Fibers and how they work on this page: http://www.toppik.com/shop/hair-fiber. If you are looking to regrow hair, our Hair Regrowth Treatments for men and women contain Minoxidil, which is FDA-approved and clinically proven to help regrow hair. This product is a better option for you if you want to regrow your hair. You can also use the Hair Regrowth Treatment and Hair Fibers at the same time. To read more about our Hair Regrowth Treatments, visit this page: http://www.toppik.com/shop/hair-regrowth-treatment. i have hairs on my head , but they are thin . i am 20 years old, at first my hairs started to fall but now they are fine and now the major problem is thinning of hairs, it looks bad to not have hairs on some portions of head .. will this product help me to get dense and thick hairs??? Hi Ahtsham – Yes, Toppik Hair Fibers will help you get naturally-looking thicker hair instantly! Toppik Hair Fibers are made from keratin protein that blend into your hair. There are 9 different colors to choose from and you can mix and match the Hair Fiber colors if you need to. 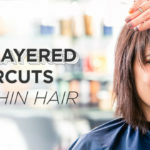 The Hair Fibers will also stay in your hair until you wash your hair with shampoo, so you’ll have thicker-looking hair all day, (and night) long. To be clear, the Hair Fibers are a cosmetic solution to thinning hair and hair loss, they will not help you regrow hair. To learn more about Toppik Hair Fibers, visit the product page here: http://www.toppik.com/shop/hair-fiber. can one use it on bald head? does it require at least some hairs to hold it? Hi Nitin – Yes, for Toppik Hair Fibers to work they need to cling to some hair on your head. If you have little to no hair on your head, we do make other products that might be better suited for you. We have a Scalp Concealing Lotion and a Colored Hair Thickener spray that work better for larger areas of hair loss or thinning hair. If you are interested in either of these two products, please click on the links and let us know if you have any further questions! i need to know if this product withstand in wind and rain. i can go out without fear of loosing them. and how long it works once applied. can i touch my hair normally after application. or if i wear a cap i will get removed or not. please reply asap. Hi Deepak – Toppik stays in through wind, rain, and perspiration and will stay put until you wash your hair with shampoo. I would recommend using Toppik FiberHold Spray, (http://www.toppik.com/shop/fiberhold-spray-full-size) after applying Hair Fibers, to further strengthen the bond between Hair Fibers and your hair. We do not recommend excessively touching your hair after applying Hair Fibers. You should be fine if you need to wear a cap, but again, I would recommend also purchasing Toppik FiberHold Spray. You may need to occasionally touch up after you remove the cap. Please let me know if there is anything else! Iam using Hair building fiber, i have a query. 2. or used to just close the scalp. Hi Ranjini! Toppik Hair Building Fibers do not encourage or discourage hair growth. The natural Keratin fibers will not clog pores or affect a scalp condition. The main purpose of using Toppik Hair Building Fibers is to disguise fine, thin, or thinning hair. I love the toppik powder, it has given some of my confidence back, I wish you could do the same for eyebrows but maybe in the future. Hi Sylvia – We are currently looking into developing a product to help with eyebrows, but in the meantime, you can use the spray applicator with the Hair Fibers to help with thinning eyebrows! Please let me know if you have any questions! Gracias TOPPIK por existir,cada botellita es una compra de autoestima. Mil gracias por existir desde la ciudad de Puebla Mexico un abrazo muy fuerte a todos quienes hacen posible este milagro de autoestima. Mil gracias TOPPIK.